A unique, fun way for kids to be involved with community needs and projects. Kids get to be a part of social action adventures and make a world of a difference for others. Chai 5 at Chabad Kids Club - which takes place every Wednesday. At Chai Five we will be focusing on a special holiday or Mitzvah & do a Chessed that is connected to that Mitzvah. No one will be turned away due to lack of funds. 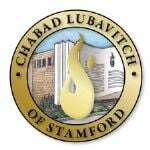 Scholarships available - contact Morah Mushki for more information at youth@stamfordchabad.org .